PV still generates a significant return on cash invested even though the Feed in Tariff has reduced. The fact remains that material costs have plummeted in the past few years, thus ensuring that the average return on cash invested on commercial (10Kw plus) size PV installs is still well over 10%. As one of the most experienced Solar PV companies in the UK, Solar PVE and its parent Solar Technology International (solar panel manufacturer), have extensive experience of installing PV on an wide range of structures including; barns (corrugated steel, fibre board, asbestos), ground mount (soft and hard ground strata), commercial buildings (fibre board, asbestos, trapezoidal steel), schools (including flat roof), churches (including lead). This expertise ensures the most secure installation without the risk of structural damage or water ingress but also the most competitive cost to install. 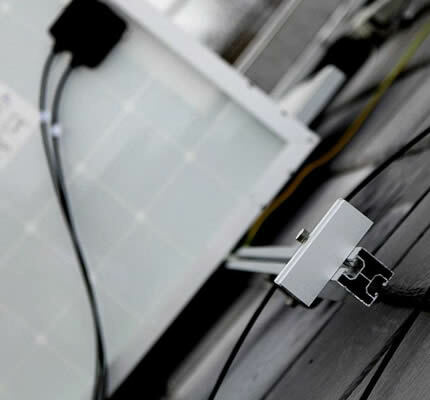 Our surveyors will asses each building for its suitability and will then send a quotation by post that will not only confirm the cost (no hidden extras) but also include the predicted yield of the solar system, thus customers know in advance what the benefit will be in monetary and carbon reduction terms before they commit. As a guide, a typical 30Kw solar system fitted to a barn or similar will cost in the region of £40,000 plus VAT and will deliver cash and energy savings benefits of over £180,000 during the 20 year period of the Feed in Tariff.